24 Hour Grab And Go: Light fare items. Albuquerque Int l Balloon Fiesta ParkWorlds larget photgraphed ballooning extravaganza. Albuquerque Isotopes BaseballPacific Coast league professional baseball "The Isotopes" April - September. Cliff s Amusement ParkCliff's is an Albuquerque tradition and an incredible place for fun and enjoyment like no other around. There is a small water park as well as many large roller coasters to throw you for a loop while you visit the beautiful city of Albuquerque. Hard Rock PavilionNew Mexico's premier concert venue with a backdrop of the beautiful Albuquerque sunset. The Hard Rock brings many new, as well as old acts to the city. With stadium and lawn seating you are sure to find the perfect spot. Enjoy yummy food and drinks. Historic Old TownOver 150 shops and galleries, housed in historic adobe buildings and hidden among patios and winding paths that are both Southwest and Old World. 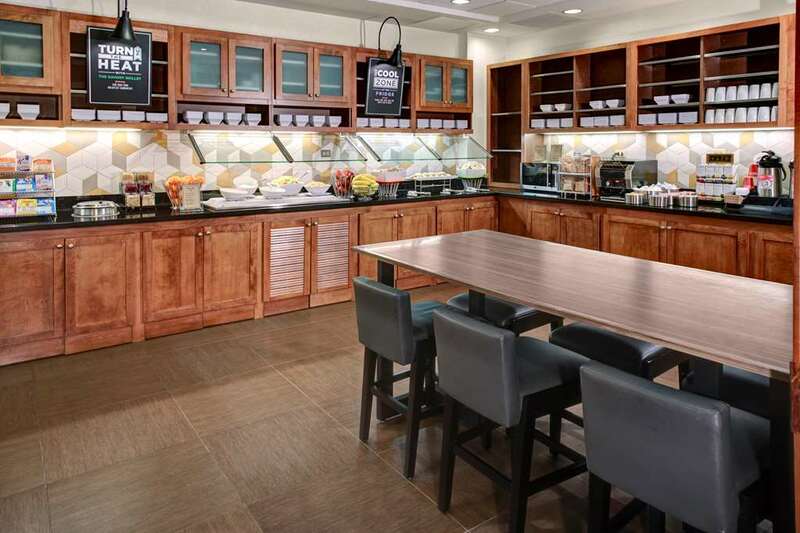 Enjoy a wide variety of foods in the cafe's and resturants. Indian Pueblo Cultural CenterDiscover arts and crafts from New Mexico's 19 pueblos; Indian Dances and craft demonstrations. Museums and gift shops. Petroglyph National MonumentExplore the world's largest accessibile collection of prehistoric rock art. Rio Grande Botanic GardenThe Botanic Garden showcases the natural enviornment of the Rio Grande Valley. Rio Grande ZooAn african savannah, tropical rain forest, primate island, and the lobo woods. Explore the diversity of animal life in naturalistic habitats. Route 66 CasinoNew Mexico's newest casinos has 1250 slot machines and 20 table games, bingo center with electronic games and a 2800 seat showroom/theater/special events venue. The Beach WaterparkThe Beach Waterpark sits on a 14 acre lot with a variety of attractions including a 700,000 gal. Wave pool, a quarter mile "Lazy River", a childrens play area, two inner-tube slides and 5 body slides. Eclipse AerospaceEclipse Aviation is in the business of desiging, certifying, and producing modern, affordable jet aircraft. Sandia National LabsGovernment contractor of provide services to the Dept. of Energy. University of New MexicoAcredited University of New Mexico founded in 1889, is the state's largest University. Winrock MallWinrock Shopping Mall - Dillards, Bed Bath and Beyond, Gap, Express, Hallmark, Victoria Secret. Albuquerque Convention CenterAlbuquerque Convention Center is city owned and offers 166,546 square feet of exhibit space. Has 30 meeting rooms and came accomodate up to 9,000 attendees. Coronado MallNew Mexico's largest mall. Macy's, Foley's, JC Penny, Mervyn's, Sears, Gap. Cottonwood MallNew Mexico's newest mall with 5 department stores, over 140 specialty stores, and 10 restaurants to fuel the shopaholic in you.